Nøddebazaren extended their market. The products are now available in more than 80 Irma Shops. Irma is one of Denmarks most successful Retailers and runs high-end Supermarkets and City shops around Copenhagen in Denmark. The package size has changed, but the sustainability not. 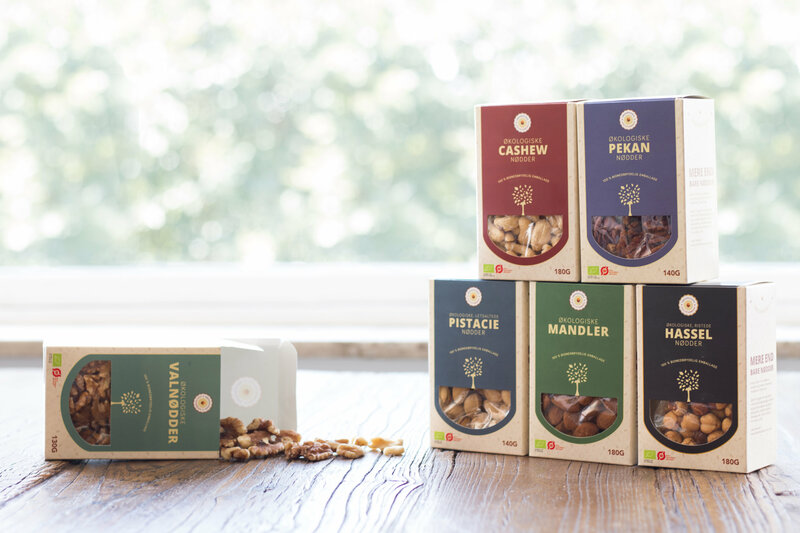 Nøddebazarens organic retail nuts are wrapped in a Repaq cellulose based film and a Cradle-to-Cradle cardboard box from KLS Pure Print. Congratulations!